The New Babies are Here!!! How many urban post offices get chickens sent to them? Walk up to the counter and say “we have the noisy box”. They laugh, and bring us our chicks. 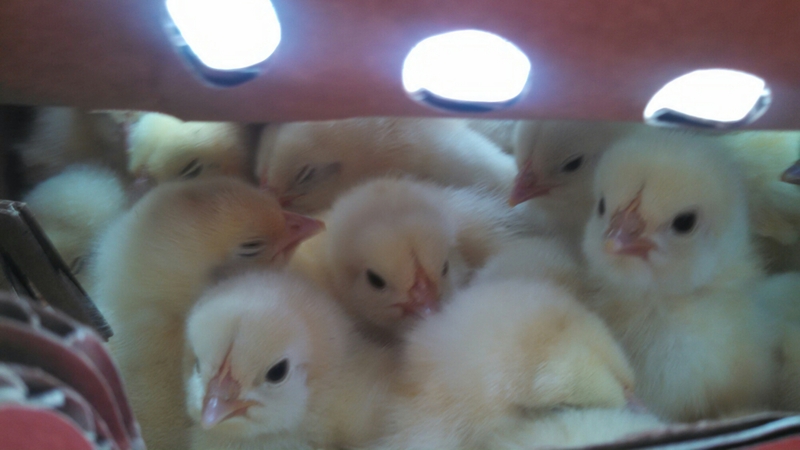 Open it up and we have 26 peeping Cornish X. Adorable fluffy yellow babies that weigh 0.09 lbs each. They are all eating and drinking well, and grouping together to keep themselves warm. Since the weather is so awesome, I am going to use a cold brooder after a few days.